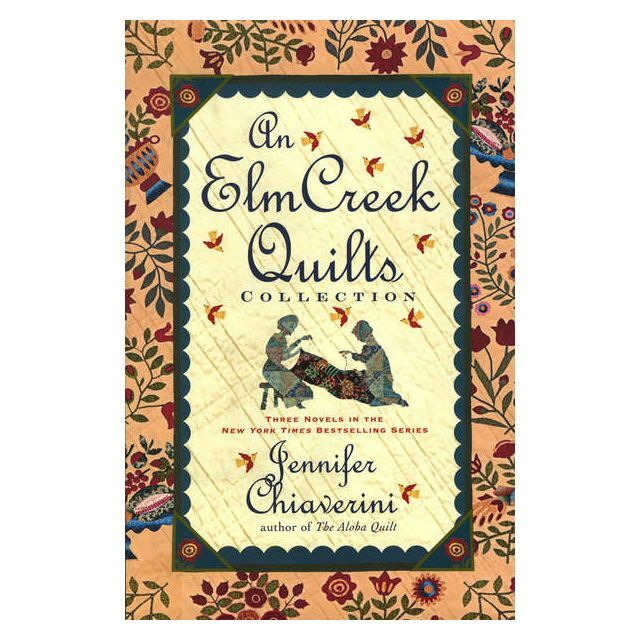 Three complete novels: The Sugar Camp Quilt, Circle of Quilters, and The Quilter’s Homecoming, from the New York Times bestselling author, Jennifer Chiaverini. 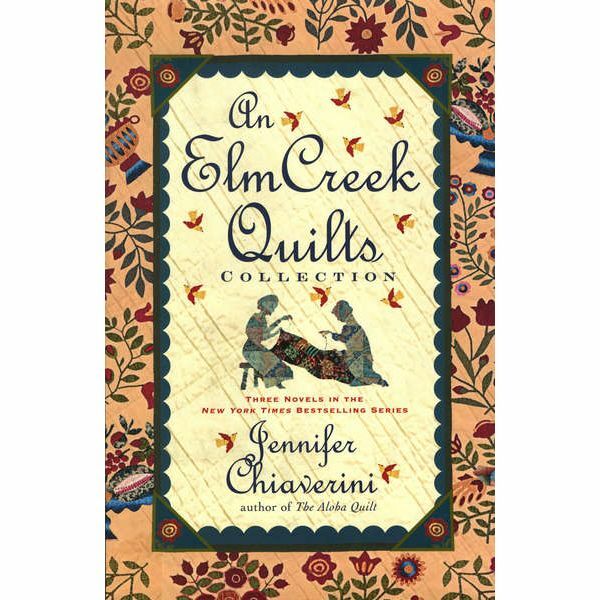 History is thick with secrets in The Sugar Camp Quilt, seventh in the beloved Elm Creek Quilts series from bestselling author Jennifer Chiaverini. Set in Creek's Crossing, Pennsylvania, in the years leading up to the Civil War, the novel follows Dorothea Granger's passage from innocence to wisdom against the harrowing backdrop of the American struggle over slavery. She discovers that a quilt she has stitched for her uncle Jacob with five unusual patterns of his own design contains hidden clues to guide runaway slaves along the Underground Railroad. The heroic journey she undertakes leads to revelations about her own courage and resourcefulness -- newfound qualities that may win her the heart of the best man she has ever known. When Elm Creek Quilts announces openings for two new teachers in Circle of Quilters, quilters everywhere are vying to land the prestigious post. The impending departure of two founding members means untold changes for the Elm Creek Quilters. As they begin the interview process, a single question emerges: Who can possibly take the place of beloved colleagues and friends? Will it be Maggie, whose love of history shines through in all her projects; Anna, whose food-themed quilts are wonderfully innovative; Russ, the male quilter with a completely original style; Karen, a novice teacher whose gifts for language complement her deep understanding of the quilters' mission; or Gretchen, the soulful veteran whose craft is inspired by quilting tradition? A Roaring Twenties adventure unfolds in The Quilter's Homecoming, as young bride Elizabeth Bergstrom Nelson sets off with her husband, Henry, from her family home of Elm Creek Manor in Pennsylvania. This rich historical narrative travels to the unfamiliar terrain of southern California, where the adventurous newlyweds embrace a life as dramatic as the landscape. Expecting to assume ownership of Triumph Ranch, the couple instead learns that their deed is a fake, and that they must work for the rightful proprietors to earn their keep. Resourceful Elizabeth trades her trousseau -- including the fine quilts stitched by her Bergstrom relatives -- for the practical goods the Nelsons need to survive and finds friendship with California native Rosa Diaz Barclay. Yet it is Elizabeth's discovery of a mysterious cache of quilts made by a member of the Diaz family that reveals a misplaced legacy of love, land, and ancestral ties. Only by stitching the rift between the past and the future can the inhabitants of Triumph Ranch hope to live in peace alongside history.